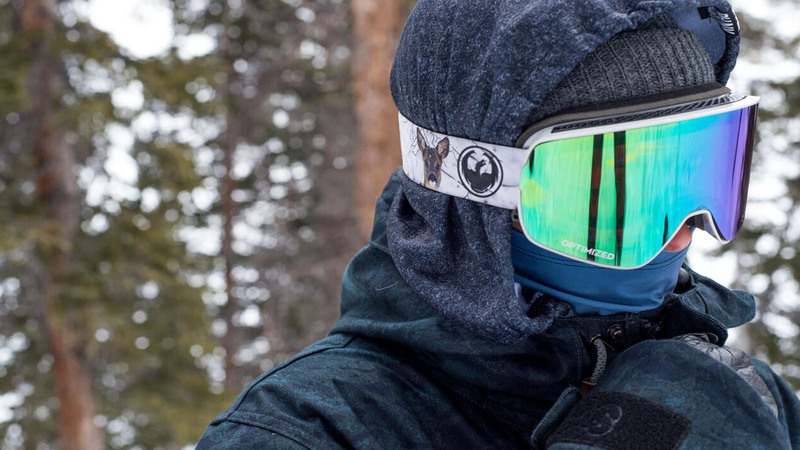 The inclusion of a facemask in your snowboarding arsenal is no longer confined to just those sub-zero days on the mountain. 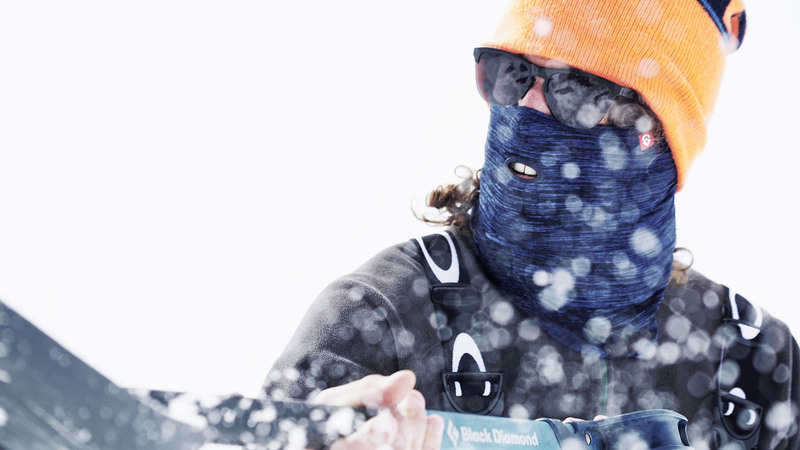 With the breathable fabric and often street-inspired designs this snow accessory is as comfortable on the slopes as it is on the streets, providing both UV protection and added warmth when necessary (they’re even useful for hangovers and on flights, “pull the lace tight and close off the world for a few minutes” claim the team at Brethren). The ever-diminishing gap between sportswear and streetwear looks set to continue with brands such as PAG neckwear actively seeking this inspiration in their designs. 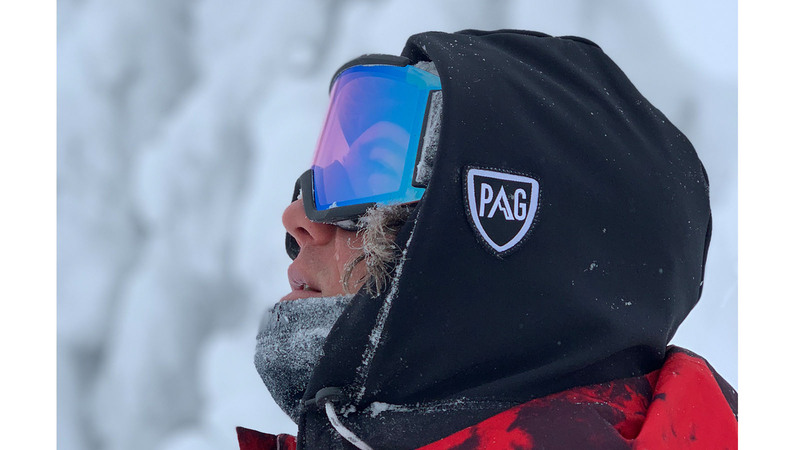 General Manger Paul Obermosser explains how PAG is launching a label that will be “an extension of the brand”, which seeks to push innovation and fashion with a futurist approach to mountain neckwear, working with stylist Louise Porche to reach this goal. For Max Jenke (Creative Director) and Joel Giddings (Brand Manager) at Airhole, they’ve noticed an emerging market for hoods that provide full head coverage with an incorporated facemask in the design. They’re also predicting that mountain hats will become as popular as face masks and full hoods and, as a result, have dedicated more resource to their tech hat line of five-panel, trapper, and bucket hats. A few years ago, facemasks were the main category for mountain neckwear, but easy-to-use neck tubes have taken precedence in recent times. For Airhole, this means their ergonomic Airtube is a top-seller. Similarly, at Phunkshun, their double-layer tube is their most popular model with its inner layer of moisture-wicking mesh and outer DWR layer providing protection during snowstorms and cold days. 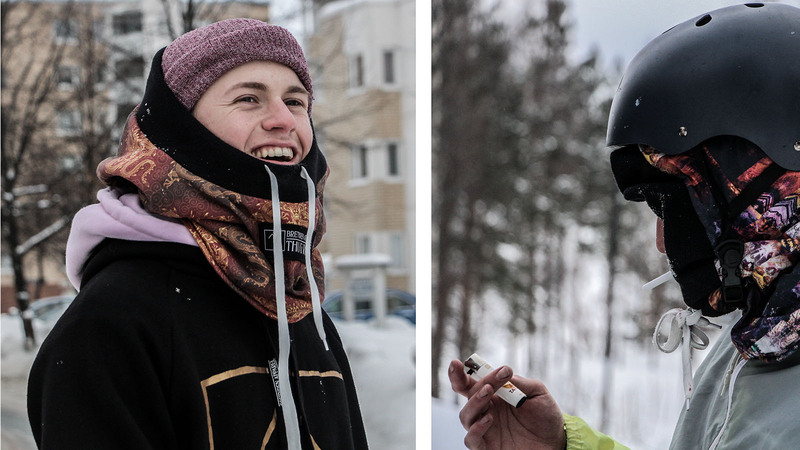 The revolution in the hood market is being driven by designs such as the ‘Thug Rug’ from Brethren and the ‘Helmetclava’ from Phunkshun which both can be worn over the helmet as an extension of the wearer’s outerwear. And PAG continue to deliver innovative products with their removable hood design which can be easily converted into a neck tube. 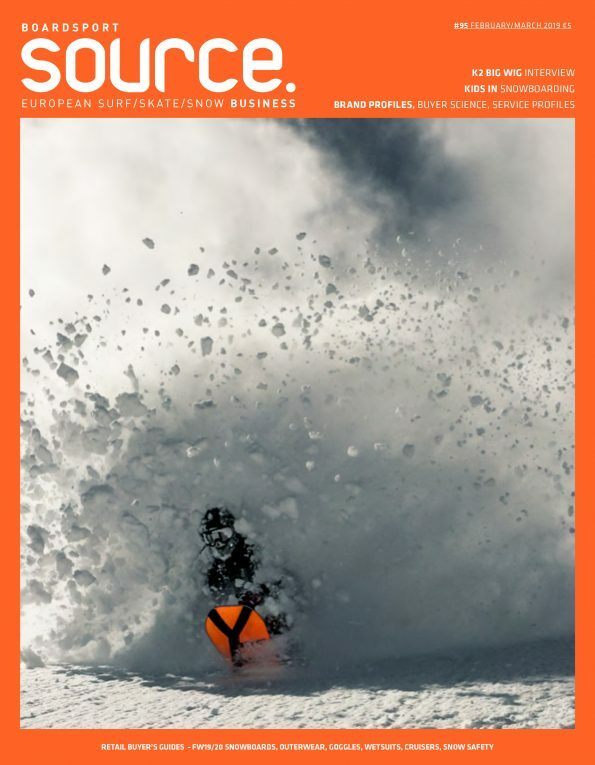 A strong undercurrent of environmental awareness continues to influence the manufacturing processes for many snow brands. Phunkshun are using fabric made from recycled plastic bottles, they’re returning any waste ink back to Epson to be disposed of properly and safely and they’re saving surplus pieces of scrap material to send back to Repreve to be recycled back into yarn (recycling over 8000 pounds of scrap material that would otherwise end up in landfills in this year alone). Airhole’s patented ‘Standard Facemask’ is known for its impressive comfort and high-performance fabric. Their improved design features appliqued Velcro which keeps the mask flexible for unlimited movement with less bunching and no catching of your hair. The Softshell fabric is made from recycled bottles and features a 10,000mm water resistant membrane that can withstand rain, snow and higher water pressure. As with most snow accessories, black sells and, to celebrate that, Airhole have launched the ‘Covert Collection’ – a slick, all-black collection with subtle reflective branding. PAG are also pushing a double black model alongside elegant pastel tones and Brethren continue to expand their impressive range of prints (sourced from independent artists online). Brethren will be releasing a range of collaborative ‘Thug Rugs’ with green brands; Picture Clothing and OOSC. With the Picture collab, they will be using 100% recycled fibre fleece, a staple of Picture products and something they’ve been wanting to implement into their own products. Continuing their collaboration with US Artist Al-Agnew, Phunkshun will be featuring his wildlife-inspired artwork in five models within their collection, whilst also working with ‘Protect Our Winters’ by donating all of the sale profits from a specific model to the organisation. In 2018, PAG collaborated with two artists; Jerome Tanon and Bouyart, to release their ‘ORIGINS by Artist’ range. This collection will continue and the chosen artists for 2019 will be revealed very soon. Also, for the first time in PAG history, a Pro model will join in the collection; the Victor Daviet Pro. Wanting to continue their eco-friendly story with their in-store POS offering, Phunkshun have created small counter displays that showcase their recycling process. They also have a model called the UNO which holds 40-80 masks and features a mannequin head to show customers how the product looks when being worn. Airhole offer standalone racks which hold 90 products in-store and they have also improved their recyclable packaging to ensure they don’t disintegrate over the season. PAG are also focusing on their packaging, with retailers receiving the products in a resealable bag which can be re-used by the customer.